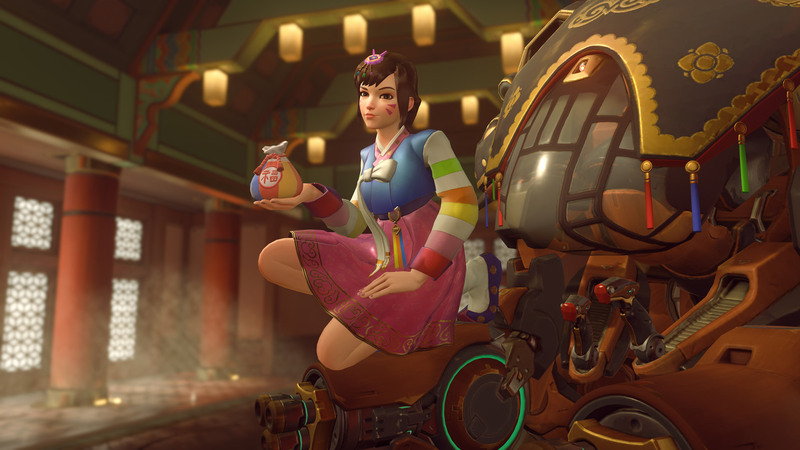 Overwatch’s first major event of 2019 kicks off on Thursday to celebrate the lunar new year. Also known as the “Chinese” New Year, 2019 celebrates the Year of the Pig. And in Overwatch, this means new game modes, new skins and more – all with East Asian themes. To celebrate, Overwatch Game of the Year Edition for PC is currently discounted in our webstore. Take advantage of this deal and the limited time event while they last! Like other games developed by Blizzard, Overwatch is always updated to keep it fresh, entertaining and balanced. Special events like the Lunar New Year celebration are one of many limited-time opportunities to grab exclusive loot and enjoy unique changes to the game. Every 1-2 months a new limited time event rolls around bringing seasonal skins, emotes, map changes and game modes for a short period of time. These special goodies are only available during the event, and then they’re locked away until it rolls around again next year. The Overwatch Lunar New Year Event takes place from 24th January to 18th February. Since this is the third time this event has happened, everything from previous years will once again be unlockable for a limited time. They’ve already teased us with an all-new skin for Reaper (which you can check out here), as well as a new look for Hanzo and Reinhardt. As for what else is new, we’ll have to wait until Thursday to find out. But, there is guaranteed to be a fresh batch of skins, highlight intros, and emotes. Also, judging by last years Lunar New Year event, a new map could be in the works as well. Don’t forget, you can unlock everything for free by playing the game. Overwatch is a competitive 6v6 first-person shooter. The game has its own special backstory, fun aesthetic, and unique “Heroes” to do battle with. Each hero has special skills and abilities that can become even more powerful when working together as a team. And, along with monthly updates, special events, and cosmetic upgrades, new Heroes continually release! The most recent hero to join the fight is… a super intelligent hamster inside a rolling mech-ball with machine guns attached (also known as “Wrecking Ball”).